Pop Evil has always delivered a winning formula for those who like their rock heavy, yet extremely tuneful and melodic. So, it’s probably wise to conclude that Pop Evil’s latest, UP, is just one of those multifaceted albums that is bound to be received rather well by the musical masses. UP covers a lot of ground for the band and showcases the five members – vocalist Leigh Kakaty, guitarists Dave Grahs and Nick Fuelling, bassist Matt DiRito and drummer Joshua Marunde, aka Chachi Riot – as a structured and cohesive unit. This is the second album in a row that has seen the lineup remain intact and is a natural progression from the band’s previous, Onyx. It’s worthy to note that the most recently added members – Fuelling and Marunde – have further entrenched their individual styles and sounds into the Pop Evil mix. Anyone who has seen Pop Evil live knows that the band is a juggernaut on stage and emits heavier and spontaneous sounds and talent than what might appear on the albums. For UP, Pop Evil chose to go with Seattle Producer Adam Kasper. Kasper, who has produced such notable bands as Soundgarden, Foo Fighters and Pearl Jam, definitely helped Pop Evil generate a straightforward album that enables the band to duplicate and capture that live sound in the studio, which is no easy feat. Lyrically, UP shows a more mature and positive side for the band. Yes, the anger is still there, as evidenced in tracks such as “Vendetta” and “Take It All.” But the anger this time appears to have a singleness of purpose at work. The best example is the title track and first single, “Footsteps.” Written by Kakaty, it is an anthemic statement that shows the anger being acknowledged but determination to supersede the obstacles to success. It also showcases Kakaty’s diverse vocal techniques that range from melodic to unbridled intensity. This maturing, however, doesn’t mean the band has lost its edge. “Core” and “In Disarray,” for example, features the rip-your-face-off-and-feed-it-back-to-you duo of Grahs and Fuelling, who further compliment their talents with the driving intensity of “Lux” and the aforementioned “Vendetta.” Throw in the consistent bottom end talent and bass mad-man personality of DiRito and you have one vicious attacking force. The main points of contrast are the pleasing, hanging melodies that the band can produce. The secret of making a soft song work is keeping its subtleties and nuances and not drenching it with sappiness that was so prevalent in the 1980’s. 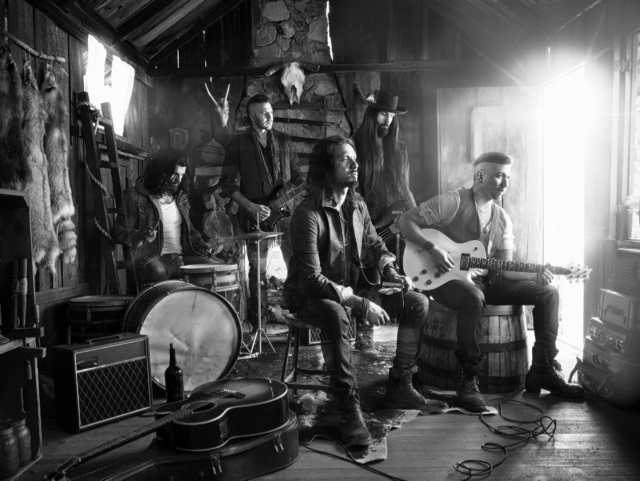 Pop Evil has these moments, successfully emphasized in “Seattle Rain” and “My Confession.” The single-worthy “If Only for Now,” actually restores hope as to what a ballad should be…simple, classy, and done with style. 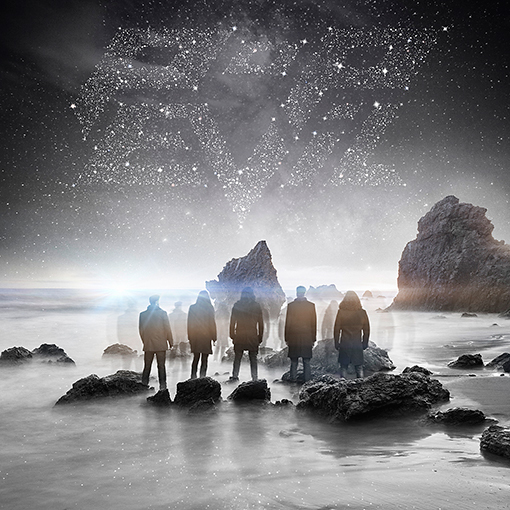 Overall, this is an album that will retain Pop Evil fans of the past as well as garnering new ones. A definite recommendation.